I am spreading the great news that we can live a joyful, relevant, and fulfilled life, although we could not, did not, have the children we so wanted. Today’s episode is about Gratitude, ‘30 Days of GRATITUDE! To be exact! We did a Facebook Live at the end of October to kick off the 30 days of GRATITUDE event all November. To close out November, we will do a Facebook Live inside the group, on November 30th from 6:00pm-6:30 pm US EST. If you are not in the group but would like to create a list, please do create your list of 30 items. Use nice paper or a nice journal book, because I suggest you keep your list in a prominent place where you can remind yourself of those 30 things on a regular basis throughout 2018. And of the babies we would make. At first, was none too clear. And I wasn’t quite so sad. This poem was written by Carol, one of the ladies in the Childless not by Choice with Civilla Morgan group. Thank you, Carol, for sharing your beautiful words with us. I am sure it touched many hearts! Faith – in your spiritual being to nourish your soul and wellbeing. Focus – on caring for your physical & emotional health. Don’t be afraid to seek out professionals to help you (& partner) to cope. Learn new ways to cope! Fortitude – Strengthen your heart with the love and support of those who love you, whenever you are feeling emotionally vulnerable. Follow through – with courage in facing your future. Know you can (& WILL) find joy, love and laughter again. Move on to live your best life! Thank you, Janice, for your wonderful words of encouragement! My Parents/family—I couldn’t do this without their love and support even when they did not fully understand my grief. The ability to help others through the childless not by choice grieving process—Some tell me that creating this platform is a gift. If it is, it is my gift to you. The members of my childless not by choice platform/ growth of the platform—I am thankful for the trust you all have put on this platform. You have joined the Facebook groups, followed on Twitter, subscribed to the Newsletter. You have purchased the devotional, and most importantly, you have told me how much this platform has helped you. THANK YOU! I am thankful! Well, here in the US we just celebrated Thanksgiving, so we are right in the middle of the Holiday Season. I know many of you are dreading yet another holiday season of no children to buy gifts for, watching other people’s children dressed in cute festive outfits, and maybe even spending more time alone than you would like. In our Facebook Live on the 30th, we will be discussing 10 ways to navigate The Holidays as childless, not by choice women. I hope you can join us. One of the things I suggest is that you concentrate on helping others. In fact, I mention helping others in different ways throughout the list. Helping others is that important to calming our nerves and our psyche. When you are considering others, it is difficult to dwell on what did not happen for us. As I always say, it’s not that we are ignoring our feelings. Our feelings are valid. Our hearts hurt. We feel like second-class citizens who missed out. I get it. But still, I say, we have a choice as to how we will deal with it. 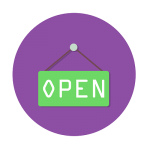 We can sit idly by, and watch the Holidays from our living room window, or we can go out and find an organization that needs help distributing, giving, helping, or listening. It’s all about choice. Well, after this episode, there are two more in 2017! I feel like I am doing a countdown. The next episode on December 11th, I will be talking to Ms. Halona Black as we discuss the war on fibroids! That is a great episode especially if you deal or dealt with fibroids. And even if you had to end up having a hysterectomy because of them, Halona has some great suggestions for self-care! I hope you will listen in! 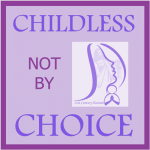 Well, I don’t want to sign off without reminding you to come join the Childless not by choice with Civilla Morgan Facebook group if you are a woman who is childless not by choice. The group has grown by leaps and bounds, and it continues to grow. There are women in there from all around the world, all on the same journey as you and me, navigating life as childless, not by choice women. Come join the conversation. Don’t attempt to do this alone, or only with people who do not understand. 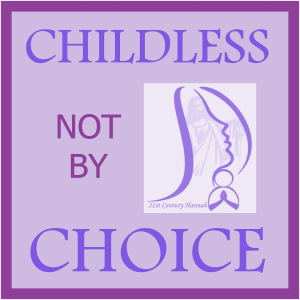 And remember, there is a Childless not by Choice Supporters group with Civilla Morgan for men who are childless not by choice and for everyone who is interested in the platform but may not fit the demographic. I will eventually get a childless not by choice men only group up and running, I will let you know when that happens. In the meantime, there are those two groups as well as the different Facebook pages available to everyone. So come on by!